Leigh K Cunningham is a lawyer with a career as a senior executive for a number of public companies in her home country of Australia. She has three master’s degrees in law (Master of International Trade & Investment Law) and commerce (Master of Commerce) and an MBA (International Management) where she graduated as ‘Top Student’. Now a full-time writer, Leigh has won seven awards for her four titles with her latest title, BEING ANTI-SOCIAL was chosen by IndieReader as one of the Best Indie Books for 2013. BEING ANTI-SOCIAL also won gold at the Readers’ Favorite Book Awards (Chick-Lit) and gold at the Reader Views Literary Awards (Humor). 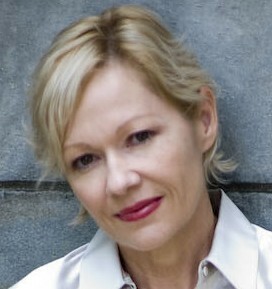 Leigh’s other title for the adult fiction market, RAIN, won gold at the 2011 Indie Excellence Awards (Literary Fiction) and silver at the Independent Publisher Awards (IPPY) in the Regional Fiction: Australia/New Zealand category. RAIN was #1 on the Amazon bestseller list for Women’s Fiction. THE GLASS TABLE and its sequel, SHARDS – Leigh’s titles for the children’s market, won silver medals at the Mom’s Choice Awards (2010). Leigh’s next title, REWRITTEN is due for release in 2014. Leigh is the founder and director (Asia) for the Association of Independent Authors, a global membership organization advancing the interests of self-published authors.